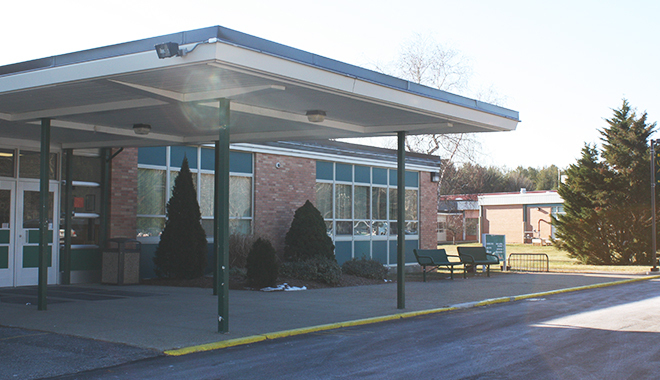 HANOVER — The South Shore Regional School Committee held its annual public hearing on the school budget proposal for fiscal year 2017 — a $12,455,356 spending plan — on Wednesday, Jan. 20. That figure represents a 2.91-percent ($352,203) increase over fiscal 2016. Preliminary information on town assessments will be available after the governor’s budget is released Wednesday, Jan. 27. The committee will take a vote on certifying the district budget on Wednesday, Feb. 24. Finance committee representatives from Whitman and Scituate attended the Jan. 20 hearing. Because of the added students, even if assessment formula remains the same, SSVT will have a bigger foundation budget which should bring in more state aid. “We build a budget zero-based, of course, so each year there are factors that change,” Hickey said. • $1,977,885 — 15.9 percent — of the budget covers health insurance, retirement, debt, unemployment, snow removal and other post-employment benefits (OPEB). Non-salary budget items are projected to cost less than in fiscal 2016, Hickey said. The committee also voted Jan. 20 to resubmit a statement of interest letter to the Mass. School Building Authority (MSBA) to fund building renovation work to the heating system in the original 1962 part of the school and adding on for needed space. In other business, the committee honored Whitman culinary arts senior Connor Christie as Student of the Month and allied health teacher Lynne Ricardo as Staff Member of the Month. Christie, who plans on attending the Culinary Institute of America next year, was selected “for his overall efforts within the school,” said Assistant Principal Mark Aubrey. Christie is also on the management track at McDonalds, a highly competitive industry program, as part of his co-op work. Ricardo was selected by students during her first year at SSVT on the strength of her inspirational presence in the classroom, according to Principal Margaret Dutch. “It is very easy to talk to her and have a regular conversation instead of the typical teacher-student conversation about school or homework,” another student said. Dutch also announced an online application for admission to the school has been launched.